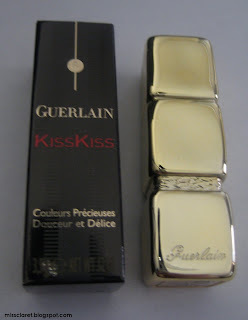 I came across Guerlain's Kiss Kiss Lipstick in 522 - Insolence De Rouge after reading an interview with Dita Von Teese. 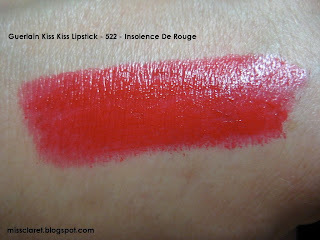 I found this beautiful bright red lipstick to be light weight and highly pigmented. It stays on the lips and it does not bleed or feather. 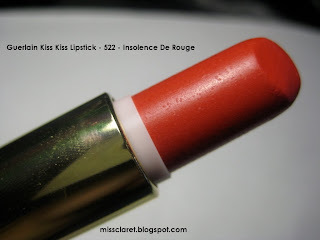 It is lightly fragranced and lovely to wear. 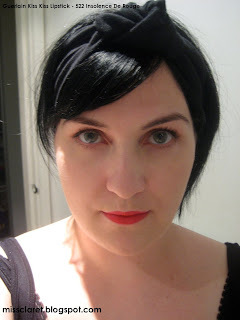 I noticed that there are many red shades in this particular range and am keen to add a few more to my collection - thanks for that Dita!